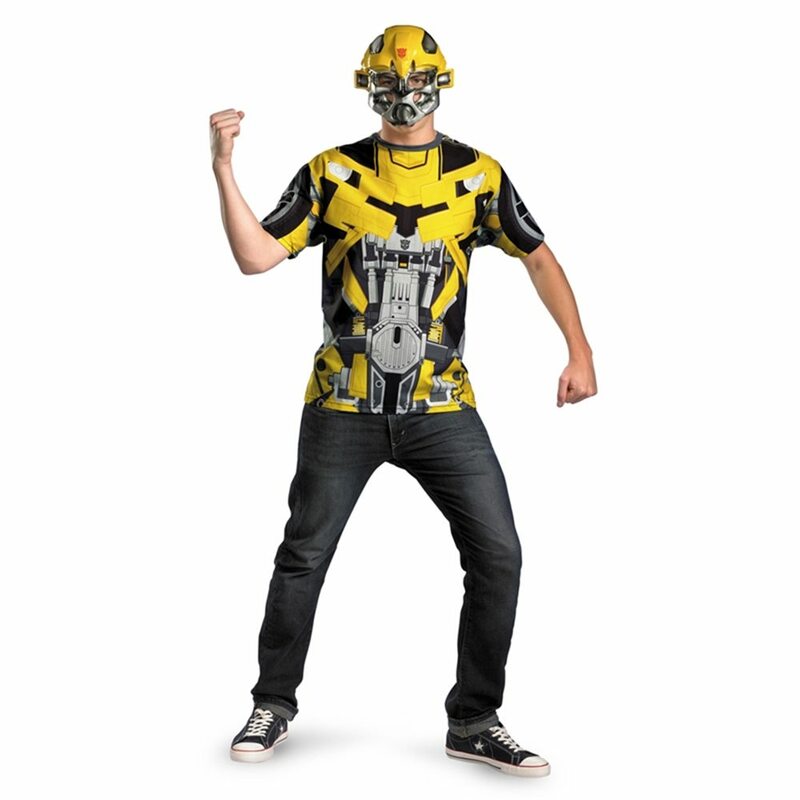 Transform into a fun and friendly robot in our Transformers Bumblebee T-Shirt with Mask Plus Size Adult Mens Costume. This plus size Transformers Halloween costume includes a printed t-shirt and a vacuform mask, perfect for an quick and easy Halloween costume. Maximize your Halloween efficiency and wear this men's Transformers Bumblebee costume.